It started with the Wilderness Survival merit badge, earned at Maumee Scout Reservation in Indiana. Then there was the 2-inch ad in the back of Boys’ Life magazine promising “amazing hidden secrets about rugged wilderness survival” to anyone who sent $1 for postage and handling. And now, Eagle Scout Creek Stewart’s quest to become the ultimate survivalist takes him to prime-time television. In SOS: How to Survive, Creek recaps real-life survival situations and gives his take on what the individuals did right or wrong when fighting for their lives. The show is in its second season and airs Sundays at 8 p.m. (7 p.m. Central) on The Weather Channel. Some of his coolest tips include ways to repurpose everyday objects to survive. In one episode, he makes a canteen from a piece of bark. In another, he creates a human-powered sled from a broken snowmobile. Expect to be entertained and to learn something that could save your life. Fans of Creek (or this blog) know that SOS: How to Survive isn’t Creek’s first foray into television. In 2014 and 2015, Creek hosted Fat Guys in the Woods, also on The Weather Channel. Each week on Fat Guys in the Woods, Creek joined three average Joes on a trip into the wilderness with limited supplies. Creek helped them work through challenges and learn the art and science of outdoor survival while battling the threats of Mother Nature. In one second season episode, Creek tells of a real-life woman named Jean who was lost in the Pacific Northwest. She had nothing but her dog and the clothes on her back and feared she could be on her own for two weeks. Creek tells — and shows — how she made an ax out of a rock to survive. Creek, a recipient of the NESA Outstanding Eagle Scout Award, has been a supporter of Scouting all his life. 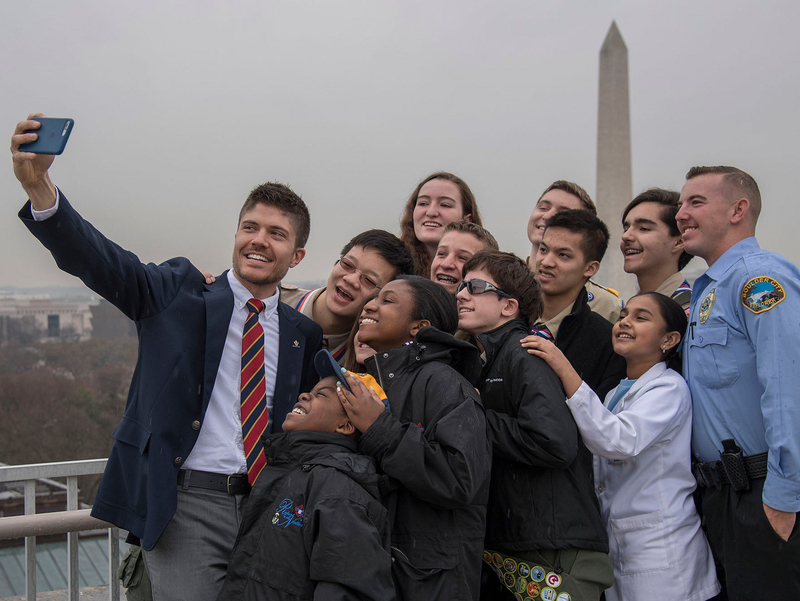 He addressed 15,000 Arrowmen at the 2015 National Order of the Arrow Conference and more than twice that many Boy Scouts, Venturers and adults at the 2017 National Jamboree. His message to Jamboree participants: Do what you love — even if it doesn’t pay the most money. Creek’s survival prowess has only grown since the ad below appeared in the February 1998 issue of Boys’ Life.